Puducherry plans to copy Tamil Nadu's 'Amma Cement' scheme that provides subsidised cement to low-income people for building houses. Puducherry: The Puducherry government today said it plans to offer cement at subsidised rates to low and middle income people, and name the scheme after Congress President Sonia Gandhi. "We are planning to emulate the scheme in operation in neighbouring Tamil Nadu. 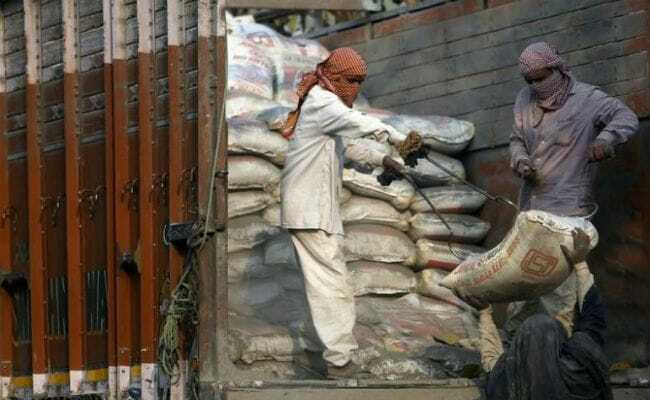 Cement would be available at subsidised price and all the modalities would be worked out in consultation with officials," Welfare Minister M Kandasamy told the Union Territory's assembly. He was replying to a plea by AIADMK (Amma) legislator A Anbalagan on availability and cost of cement. In Tamil Nadu, the "Amma Cement" scheme has been active for the past few years. Under this scheme, cement is sold at Rs 190 for a 50-kilogram bag to low and middle income people building houses up to 1,500 square feet. Mr Kandasamy said the proposed cement scheme in Puducherry would be named after Congress President Sonia Gandhi. Chief Minister V Narayanasamy said Puducherry does not have industries manufacturing cement, so it will be procured from outside and sold at subsidised price. On the difficulties faced by private builders and the public in getting sand for construction purposes, he said he had taken up the issue with the government in Tamil Nadu, from where Puducherry gets a major chunk of sand to meet its needs. "We will ease the situation at the earliest," he said. Mr Anbalagan said a severe shortage of sand for the last three months has halted construction activities.